Which are the best and who makes them? Let's look at some of the best American Artisanal Gourmet Cheeses and their makers. It's pretty obvious that artisanal cheesemakers are absolutely passionate about what they do! They'd have to be, considering the hard work and grueling time schedule they follow to milk the animals twice daily and to produce the cheese. They are independent artisans - some would describe them as quirky - dedicated to producing the finest quality specialty cheeses. As recently as 20 years ago there were maybe 75 artisan cheesemakers in America. Today, they number hundreds so it's no surprise that we see so many fine American artisanal cheeses in the specialty cheese shops. There's no need today to be a cheese snob, thinking only imported European cheeses will do, just as there's no need today to be a wine snob either. Our cheesemakers may be relatively new to their craft, at least compared to the Old World cheesemakers with centuries of tradition behind them ... but most cheese experts would agree that today, American artisanal cheeses easily stand on equal footing with their counterparts in Europe, winning top prizes in international competitions. Here is a quick definition: What do we mean by the words "artisanal cheese" and "farmstead cheese"? Artisanal cheese is made by hand, in small batches using traditional tools and techniques, with little to no mechanization involved in the cheese's production. If the cheesemaker uses milk produced by his/her own animals, then it is also known as farmstead cheese. But not all artisanal cheese is farmstead cheese ... since cheesemakers may well use milk from neighboring farms or dairies. American artisanal cheeses are identified by the name of the farm or cheesemaker, because each of these cheeses is one-of-a-kind. "American" cheese has earned a bad reputation for all cheeses made in America. Not all American Cheeses are "American" cheese. This distinction is one of the reasons I am writing this website. Don't give up on American-made cheeses just yet. Steve Jenkins, well-known cheese expert, Master Cheesemonger (or Maître Fromager) and author of the Cheese Primer, described America ... in his Prologue to Laura Werlin's The New American Cheese ... as "the land where the vast majority sees cheese as rectangular blocks of solidified floor wax..."! That may still be a true statement about many, but I think if you are visiting this website, you are one of the cheese lovers (caseophiles or turophiles) and connoisseurs, seeking to become well informed about all that real cheese is about. Did you know that the average American eats 32 lbs. of cheese each year? 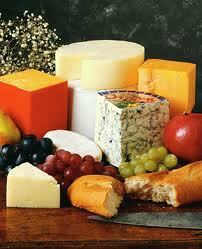 I wonder how many pounds of cheese each of us who is a cheese lover consumes each year? Choosing the best of anything is always a subjective and highly personal choice which evolves over time. I have a list of 9 favorites, but even this list is not carved in stone! In fact I know my list will change over time! And you will develop your own list of personal favorites. In addition to this abbreviated list of great artisan cheesemakers and cheeses, I have created a separate American Artisan Cheesemakers Index which is a pretty comprehensive listing/guide to about 62 of our best cheesemakers. Please refer to that section of the website for more information on who they are, how to contact them, names of their special cheeses and other relevant facts. So, Consider the Following Cheeses, Please! In the early 1970s Laura Chenel, in collaboration with Alice Waters of the famed Chez Panisse restaurant in Berkeley,California, introduced goat cheese to the American public. It didn't catch on right away. But the early 1970s was the time when the concepts of "back to the land - sustainable and organic agriculture - natural, locally raised foods"... were taking root in American kitchens and restaurants. Laura is one of our cheese pioneers. Although she sold her company in 2006 to a French artisan cheese corporation, Laura still raises her goats and the same employees make her cheese. Today Laura Chenel makes both fresh goat cheeses and aged goat cheeses. Look for them in the cheese shop. Mary Keehn of Cypress Grove Chèvre in California was one of the early pioneers, producing goat cheese since 1983. The Top Pick here is Humboldt Fog, a bloomy, 2 layer goat cheese with a thin layer of vegetable ash in the middle. It is a tangy, herbal classic - simply superb and elegant with a gentle flavor. As it ages (up to six months) this soft-ripened cheese will ooze deliciously around the edges but the interior will remain firm. It is available year-round. Cindy and David Major of Vermont Shepherd Cheese in Vermont are 2 of the very best artisan cheesemakers in the U.S.. Big Star status to their Vermont Shepherd Cheese, a sheep's milk cheese made from raw milk. The Majors age this cheese in underground caves. Each batch is different, but typically it is a golden yellow in color with a nutty flavor, dense, smooth and rich in texture. It is usually available from late summer to Easter. Judy Schad, another cheese pioneer, has been producing a fantastic goat cheese on her Capriole farmstead in Indiana since the early 1980s. Her Capriole Farm O'Banon goat cheese is wrapped in chestnut leaves and doused with Kentucky bourbon. It's worthy of 4 Stars and is a Must Try Cheese. She also produces a wide range of goat cheeses, from fresh to aged, using raw milk or pasteurized milk. These American artisanal cheeses should be easy to find. Allison Hooper was among the early cheese pioneers, having co-founded Vermont Butter and Cheese Co. in 1985 with Bob Reese. They produce both cow's milk and goat's milk cheeses, obtaining their milk from many different Vermont farms. Of particular note is their goat's milk Fontina, aged for 7 months. It doesn't taste like the typical cow's milk Fontina. It has a goat's milk flavor with a smooth texture, combining the tart goat tang with a clean, sweet flavor. widely available in good cheese shops across America. One of their top winners is Red Hawk, an usual washed-rind, triple-crème cheese made from organic cow's milk with a high 75% butterfat content. It was voted Best Cheese in America in 2003. We have a growing hunger to know where our food comes from. In our increasingly corporate world, we are looking to get back in touch with our roots to the land. American Artisanal feeds this hunger as no book has before. A Travel Guide to America With Food at Every Stop! The book celebrates eighteen of America’s leading food artisans–from Wood Prairie Farms potatoes in Maine to L. L. Lanier Honey in Florida, from Reed’s Ginger Brew in California to Earthy Delights mushrooms in Michigan. These are folks who are returning to the basics of sustainable, small-scale, or just plain high quality production. Food is a second career for many of these producers, who decided to drop out of the office rat race and pursue their real passion, literally in the field. In their inspirational stories we also can see the emergence of a true national cuisine. Also, woven throughout each chapter is the engaging history behind our foods–their natural origins and long journeys to cultivation. Recipes and ordering information are provided so you can enjoy these culinary delights at home. Debbie and Bob Stetson of Westfield Farm in Massachusetts make outstanding,unusual American artisanal cheeses and have done so since the mid 1990s. Westfield Blue Log is their goat cheese, an unusual combination of goat cheese and blue cheese. Snow white inside, it has a soft layer of blue mold on the outside, but with no blue veins throughout the cheese as you normally would find in blue cheese. It is a delicate cheese and does not have the grainy texture that some goat cheeses have. Westfield Capri is their terrific, fresh goat chevre, well worth a try. Hubbardston Blue is their cow's milk cheese, and as the name suggests, it is a blue cheese, with a blue mold exterior, no blue veins and just a hint of that famous blue cheese taste combined with the mild flavor of this soft cheese. Tom and Nancy Clark's Old Chatham Sheepherding Company in New York's Hudson Valley boasts one of the largest flocks of dairy sheep in America. Producing cheese from sheep's milk is difficult because sheep don't produce nearly as much milk, per pound of body weight, as do cows and goats. Also, sheep traditionally have a short milking season. The Clarks have been able to boost their milk production by encouraging off-season breeding. This has enabled them to produce some stellar sheep's milk cheeses, available year-round. Their Hudson Valley Camembert is a bloomy rind cheese made from a combination of cow's and sheep's milk with a bit of cream added. Packaged as a square, not the typical round shape of camembert, this cheese is sweet, creamy and not as runny as a French camembert. Shepherd's Wheel, an aged sheep's milk cheese will please the connoisseur, with its buttery creamy texture and sweet, mild flavor. It has no gamey undertones. Mutton Button (love that name!) is another aged sheep's milk cheese they make. It has a stronger flavor than Shepherd's Wheel and will appeal to cheese lovers who prefer a little stronger flavor. Jasper Hill Farms in Northern Vermont is a relative newcomer to the pantheon of top American artisanal cheesemakers. Two brothers, Andy and Mateo Kehler established a farmstead cheese operation in 2003, patterned after the famous Neal's Yard cheese operation in Britain. See Neal's Yard under British Cheeses. Constant Bliss is their raw cow's milk semi-soft, bloomy rind cheese, produced from the milk of their herd of Ayrshire cows. A buttery soft cheese, it will mature as it ripens for at least 60 days in their aging cave, from a white cylindrical shape into a very tasty cheese, which may appear darkish and somewhat lumpy on the outside, boasting earthy flavors as it ages. 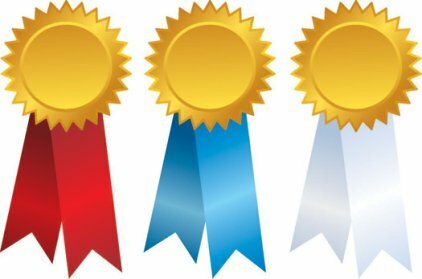 Constant Bliss has won a Gold Medal at the American Cheese Society competition and other top honors worldwide. Winnimere is an extraordinary American artisanal cheese. It is made from their raw cow's milk and then, wrapped in spruce bark strips, it is washed in beer brewed on their farm. Aged for at least 70 days, it packs a whole lot of flavor wallop. Well worth a try! American Artisanal Cheeses should be a prominent part of your wine and cheese party menus. You can easily create an outstanding menu of cheeses and special accompaniments, along with wines selected to pair perfectly with your cheese choices. So you will want to browse through the gourmet food selections available at the Gourmet Food Store to order those specialty items which will make your party stress-free and hugely successful.